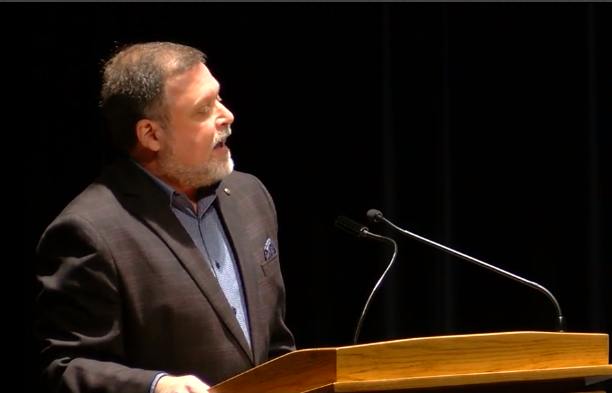 Anti-racism educator honors the legacy of Dr. Martin Luther King, Jr.
LAKE WORTH, Fla. — Anti-racism writer and educator Tim Wise took the stage as the keynote speaker at this year's Martin Luther King, Jr. Celebration at Palm Beach State College. Wise gave a rousing 30-minute speech to a packed house at the Lake Worth campus for the 20th annual event. Wise regularly appears on CNN and MSNBC to discuss race-related issues. His mission for the speech was to tell the truth about Dr. Martin Luther King, Jr. and our country's history. "In the 30 years I’ve done this work, I feel as though as a country we have really watered down and sanitized the work of Dr. King and the movement of which he was a part," said Wise. Hundreds filled an auditorium Thursday for Wise's speech. "I don't know who other folks came to commemorate, because even though there is only one Dr. King in our history, there are several in our memory," Wise told the crowd. 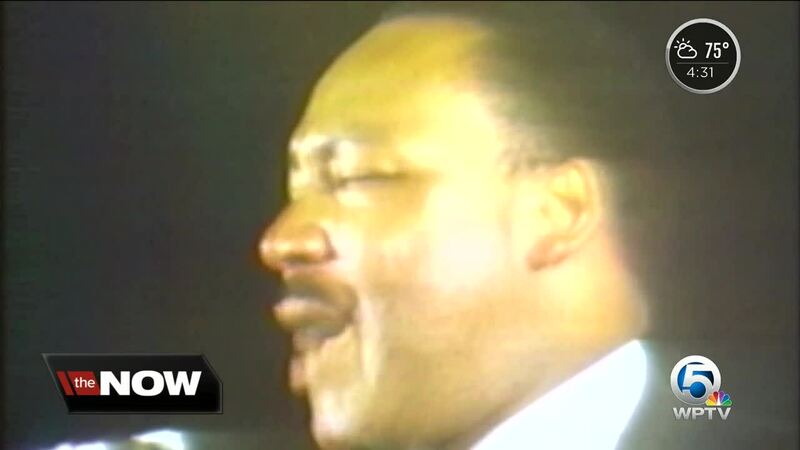 Wise said he does not think Dr. King would be satisfied with race relations in America today. "I think, without question, (Dr. King) would say that we have failed to live up to the standards that we as country set rhetorically in the constitution," said Wise. "That whatever progress was made during the time of his life, much of that has been unspun and unwound and begun to disintegrate." Wise also said it's important not to rewrite our own history, and be honest in how we teach it to our children. "Until we begin to tell the truth about who we are and our role in the world, both good and bad, then I’m afraid we’re never going to get to the place that Dr. King was fighting for and that others were fighting for," Wise said. He said he hopes people walked away from his speech with a desire to connect Dr. Martin Luther King, Jr.'s lessons to the world today. "It's about how do we reconnect to the message and the movement to which King was a part and how do we apply the principles and the lessons to the current moment?" Wise said. "How do we make this more than just history? Here we are half a century plus after Dr. King’s death still fighting the same battles. So what can we learn from his work? What can we learn from his legacy and apply it to right now?" Wise's message resonated with at least one student in the audience. "It really hit home and encouraged me to work harder," said Dillon Joseph. "I liked how Mr. Wise was very honest with it, he didn’t sugar coat it like other people did. I appreciate that because I really needed that hard talk to kick me in the right direction." As part of the event, Palm Beach State College presented awards to four people and one organization who have embraced the principles and ideals of Dr. King. The recipients included student Joseph Morel, alumni Justin Kunzelman, faculty member Dr. Irving Berkowitz, community member Vera Rolle Farrington, and the Dress for Success organization. Farrington was honored for her work in the community as an educator and preserving black history in Delray Beach. "To be a part of something like this, unbelievable when they told me I was designated to be a part of it," said Farrington. "I thought why? What did I do?"